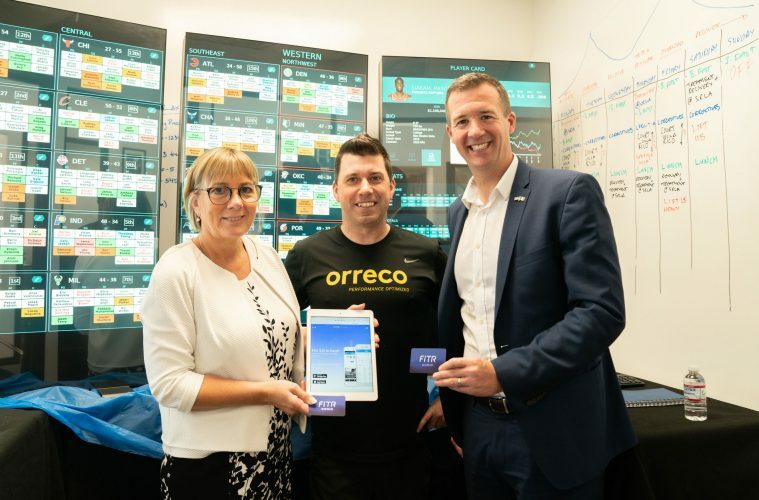 Enterprise Ireland CEO Julie Sinnamon has opened the new Los Angeles office of Irish sports data, biomarker and performance experts Orreco. The Galway-headquartered company’s new high-tech office is set within the campus of Sports Rehab Los Angeles, one of America’s most high-profile sports training and recovery centres. Sports Rehab LA has some of the world’s most famous sports stars on its books including the biggest names in basketball, American football and the English Premier League. Clients from the world of entertainment include entertainer Sean ‘P Diddy’ Coombs and Hollywood actor Kevin Hart. Orreco uses machine intelligence to find hidden signals in data including GPS and performance statistics to help improve athletic performance and reduce the incidence of illness and injury. Enterprise Ireland was an early stage investor in Orreco and Ms Sinnamon, who is in Los Angeles as part of a four-day trade mission, said she was delighted to visit and officially open the facility, which will allow Orreco to serve its growing roster of elite US athletes and international sports stars. In recent weeks Orreco has signed contracts with 15 National Basketball Association (NBA) players from multiple NBA franchises to Orreco’s sports and data science consultancy offering. Orreco’s new LA office is also home to a new data and performance portal developed by IBM with Orreco called IBM Sports Insights Central, which lists a select number of NBA players and is used by all the major NBA teams and agents. These consultancy services include its advanced biomarker blood testing programme, University of Houston / NASA Immunology protocols, advanced sleep analysis, custom nutrition, accelerometery and bespoke compression garment fitting to assist recovery. All the above are made even more powerful with Orreco’s cutting edge machine learning. Ms Sinnamon was accompanied by Seán Davis, Enterprise Ireland’s executive vice-president North America, Paul Burfield, senior vice-president for West & Southern United States and Robert O’Driscoll Ireland’s San Francisco-based Consul General. Orreco’s actionable data products have already gained significant traction with clients and professional sports stars in Formula 1, on the PGA tour, and with players and teams in the NFL, NBA, MLB, NHL and Olympic sports. He spoke as Orreco, whose investors include pro-golfers Padraig Harrington and Graeme McDowell, launched a ground-breaking partnership with the Ladies Gaelic Football Association (LGFA) to promote the new FitrWoman app. FitrWoman provides personalised day-to-day evidence-based training and nutrition suggestions tailored to the changing hormones in a woman’s menstrual cycle.